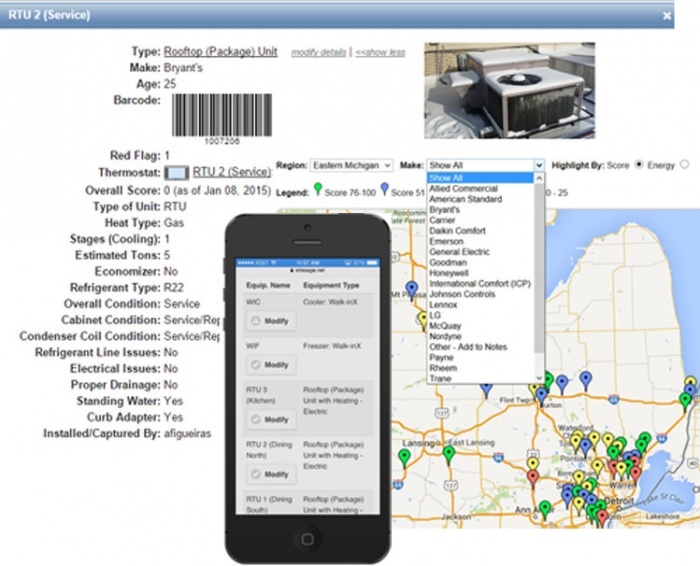 Many organizations with dispersed locations do not have complete, up-to-date information on what equipment is installed at each location, much less a process for creating an equipment condition report or calculating total cost of ownership. SiteSage Assets (patent pending) enables organizations to capture properties, conditions, and photos of critical equipment and maintain that information over time. As an equipment asset management tool, SiteSage Assets provides critical data for capital replacement as well as maintenance planning.